KAMPALA—Police have opened investigations into circumstances under which former Uganda Cranes striker and captain Geoffrey Massa was shot while driving. The incident last night in Kireka a Kampala suburb saw both Massa and a woman occupant he was with in the car sustain injuries. The woman sustained a bullet injury, said Kampala Metropolitan Police spokesperson Emilian Kayima. Massa was not shot but sustained injuries to his forehead when he stopped the car abruptly after Police opened fire. According to Kayima, Patrol Police got suspicious when they noticed a car parked on the Nambole Flyover late at night, and approached the occupants. “The driver, Geoffrey Massa, suddenly sped off causing more suspicion. In an attempt to stop them, officers attempted to shoot the tyres of the vehicle and subsequently injured the lady in the vehicle,” Kayima said. Massa suddenly stopped, almost hit another motorist and allegedly hit his forehead on the windscreen, he added. Massa along with the woman, Josephine Maliza, were taken to Gwatiro Clinic in Kireka for medical attention, Police said, allaying earlier rumours that the woman had died on the spot. Kayma: The woman friend, one 25 year old Josephine' Maliza got a bullet wound and is equally getting treatment at the same facility. “She is not dead, not even in critical condition according to reports got from the medical teams handling them. The Police have opened a General Enquiry File to establish the truth behind the incident,” Kayima said. Massa began his career in 2004 with Police FC in the Ugandan Premier League before moving to Egypt side Al-Masry Club in 2005 where he spent three years. In 2008, the muscled striker famous for his bald pate and the ‘net bursting’ strike at Namboole moved to South African club Jomo Cosmos in 2008 for a brief stint before returning to Egypt with Itelasat. The Uganda national team record goal scorer returned to South African side University of Pretoria as the sun set on his career. 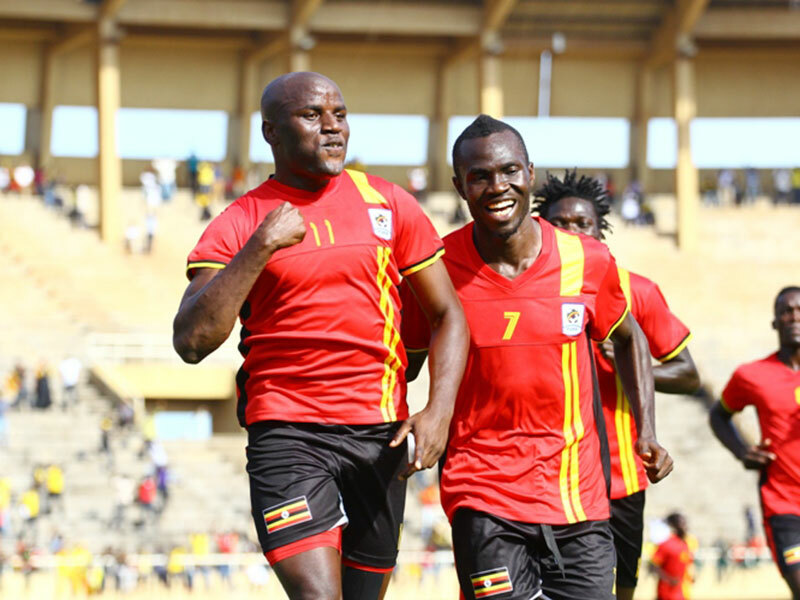 He captained Uganda Cranes at the Africa Cup of Nations in Gabon where he led but fluffed the lines as the Cranes failed to register a win in a group of death that included record champions Egypt and West African giants Ghana.